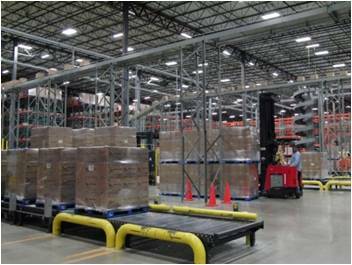 EI Associates recently completed the planning, design and equipment procurement for an $8 million new production facility for a major manufacturer of household goods. The facility was installed inside a 600,000 sq.ft. existing manufacturing facility in central Pennsylvania. Reorientation of the rail siding was required along with the design of conveying systems to minimize the creation of dust. 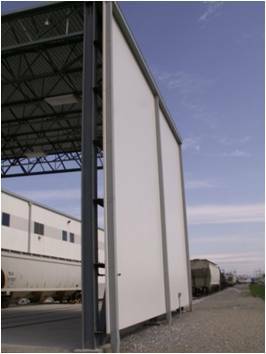 Our design covered all material handling aspects of the project from bulk material truck and rail unloading stations, to process mixing and blending, to container filling and palletizing of the finished product. 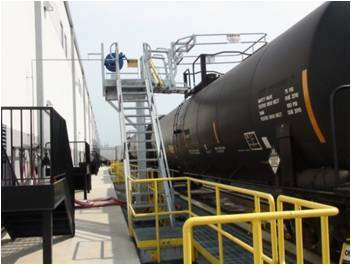 From the development of process flow diagrams thru detailed engineering, EI handled all design aspects of this project. Special material handling requirements were addressed due to the extremely friable nature of the process ingredients. The nature of the materials restricted the amount of handling which could be performed, resulting in the decision to locate large storage silos within an existing high-bay facility in close proximity to the new process operations. Belt conveyors and bucket elevators were used for all material handling in order to avoid compression and agglomeration. To prevent the escape of fugitive dust and to avoid contamination of an adjacent liquid-based product manufacturing area, all mixing and blending of the dry solids which was performed through the use of new ribbon blenders was contained within a separate, dust-tight process room which is kept under negative pressurization. 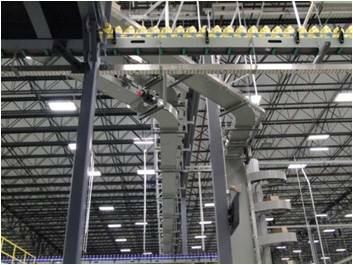 Process automation and control systems were designed flexibly to address large and small capacity production campaigns for individual product sub-categories.